It’s been awhile since I’ve done a non-canning recipe so I figured I was overdue. With this cold weather it’s nice to sit with a bowl of comfort food. I love chili but I really don’t make it enough. We have a ton of dry beans that we’ve grown so there really is no excuse for not making it. Yes, I put beans in my chili, which I know some of you would consider blasphemous. I’ve done it this way since I learned how to cook. My mom has done it this was for as long as I can remember. And I will probably always add beans to my chili. 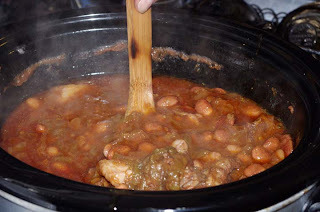 I don’t like to heavily rely on meat to make my chili, well, meaty, so beans are added. 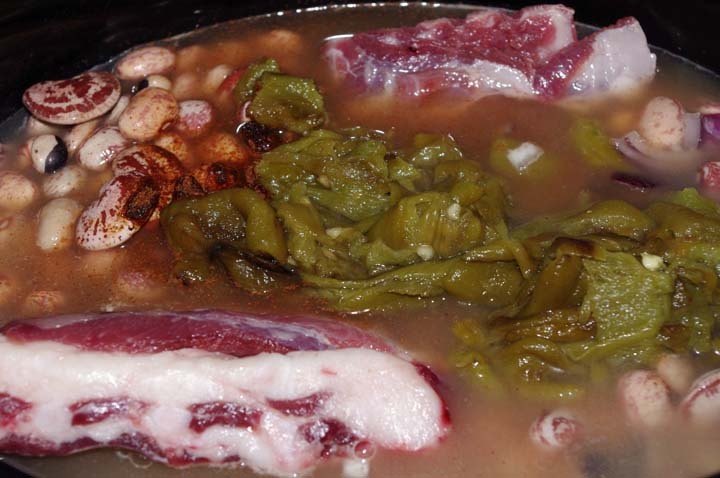 Of course, it does take some planning ahead because you’ll need to soak the beans overnight. You could skip the soaking, but it will have to be cooked on the stovetop at a higher temperature for quite awhile. As for the meat, we’ve got a freezer of goat and it seemed like some goat ribs would be a fantastic addition to this chili. Goat can be difficult to find so feel free to substitute it with lamb. 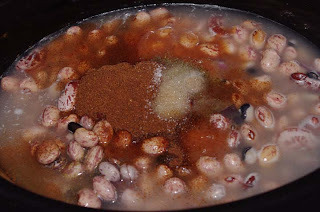 The night before in a large bowl cover 2 cups of dry beans with water. Add enough water so that there is at least an inch of water over the beans. Turn your crockpot on high and leave it until dinner. 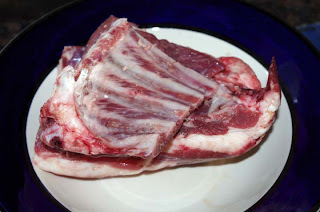 The meat should be falling apart. Most chili powders are mild so it won’t really be a spicy chili. If you want it to have some kick add some hot sauce. Serve with fresh chopped onion and sour cream.